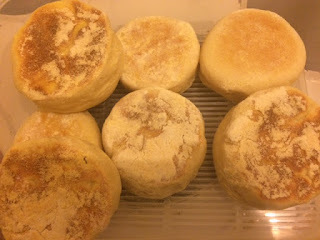 For those who are not familiar with English muffins, let me explain the difference between English and American muffins. The English muffins is a bread product that is round in shape, fluffy in texture and dusted with semolina or polenta. It is traditionally sliced open and toasted, then buttered and eaten while still warm. For a more substantial meal, the muffin is sometimes topped with ham or smoked salmon and then with a poached egg and hollandaise sauce. An American muffin is an oversized cupcake that you get overcharged for in Starbucks. I and my housemate, Julie, had a lengthy “discussion” with another colleague during the week on which was the “proper” kind of muffin and which was invented first. I can confirm that the answer to both of these questions is the English muffin. So when I fancied making something special for breakfast this weekend, it was to the humble English muffin I turned. I made eggs royale - muffins topped with smoked salmon, poached eggs and homemade hollandaise. The muffins were excellent - fluffy inside, marked with the distinctive pale golden brown circles on the top and base and only improved by their toppings. I used a Paul Hollywood recipe. This will produce 8 muffins. 1. Put the flour in a large bowl and add the yeast to one side of the bowl and the salt on the other side. Add the sugar. 2. 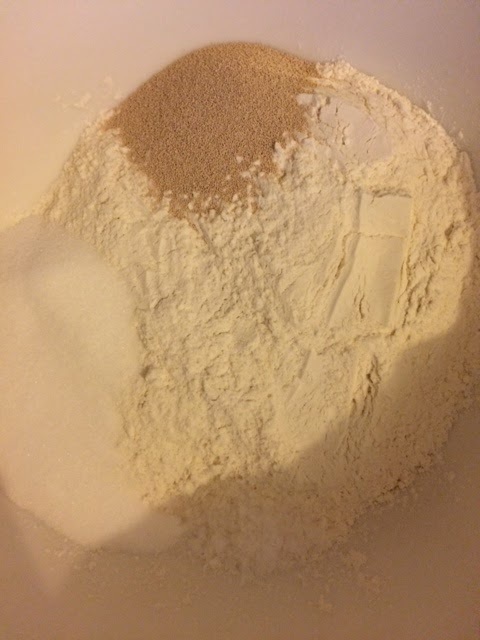 Stir the flour, sugar, yeast and salt together. Make a well in the middle of the mixture and add the butter, egg, milk then beat in to form a soft dough. 3. 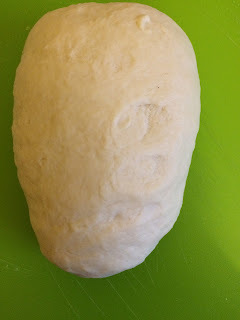 Tip onto a clean, floured work surface and knead with well floured hands for 10 minutes until smooth and elastic. 4. 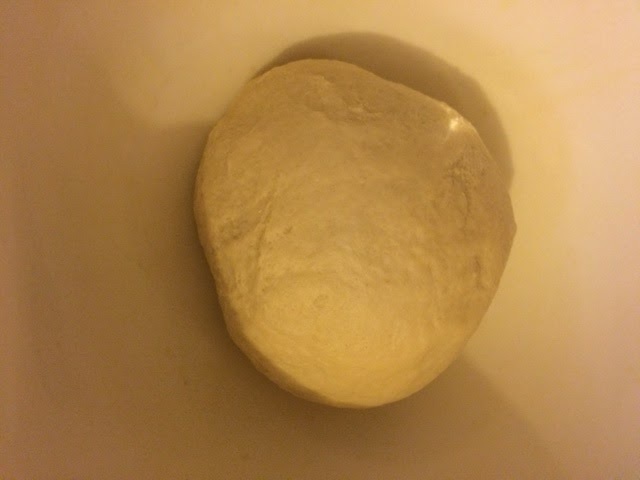 Roll the dough into a ball and put in an oiled bowl, Cover with clingfilm and leave for an hour until doubled in size. 5. 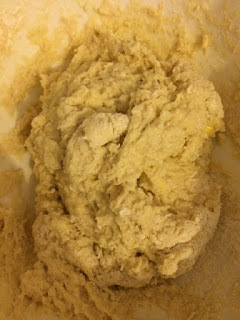 Dust the work surface with a mixture of flour and semolina or polenta and roll out the dough to a thickness of 2.5cm. Cut out 8 muffins with the biscuit cutter and place on a tray dusted with the same flour/polenta mixture. 6. Cover the tray with clingfilm and leave to prove for 30 minutes. 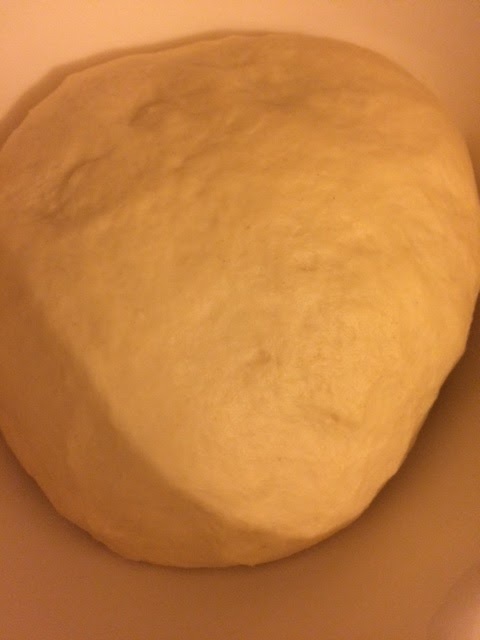 Close to the end of proving. heat an ungreased griddle pan over a low-medium heat. When the muffins finish proving, cook them in the pan, flipping after 5 minutes to cook on the other side until each side is cooked to a pale golden brown. 7. To serve, slice open, toast and butter the muffins, add your desired topping and eat.